Video Splitter Free Download Latest Version for Windows. It is full offline installer standalone setup of Video Splitter Video Cutter for 32 bit 64 bit PC. 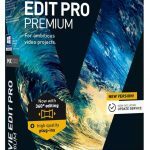 It often happens that whenever you shot a video or capture it from some website that it contains some unwanted portions like advertisements, pauses, unnecessary contents or sometimes your videos are too big in size to be burned on the disks in such conditions you need to cut down your videos in order to get rid of the unwanted portions from your videos. Video Splitter is one application which will help you to split your desired video into small manageable pieces. 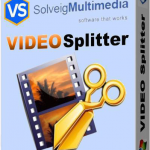 Video Splitter knows how to deal with such scenarios and provides an easy and effective way to split the videos. The videos the you need to split can be easily loaded into the Video Splitter by clicking on the Add Media Files. Once you are done with selecting and loading your desired video you need to go to the Media panel and move your video into the timeline located at the lower portion of the interface. You can also Download Any Video Converter which is great tool for cutting videos as well. Now once the movie is in the timeline you can click on the timeline and just place the red marker at the start of the portion which you want to remove or split after this you need to specify the ending point of the unwanted portion. Once both the point are defined now you can split the portion easily and then either can treat it as a different clip which can be moved from its place to anywhere in the video or can simply delete it. 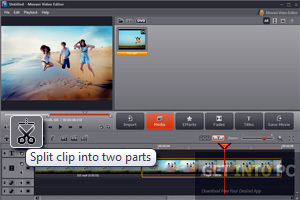 You can also split your video and can get rid of the unwanted portion by a more simple and quick method. The video can be split during play. There is a yellow bar above the timeline while playing the video when the unwanted portion starts you can click on the thumb down button and release it when the unwanted portion ends. You video will split and the unwanted portion will be deleted automatically. After this you can save you video easily. All in all Video Splitter is a very handy application which can be used for splitting your video into many different portions and for removing the unwanted portions as well. Below are some noticeable features which you’ll experience after Video Splitter free download. Can split your videos easily. Can remove the unwanted portions with ease. Almost all formats are supported. Can split videos while playing. 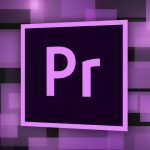 Can save your videos in any format. Before you start Video Splitter free download, make sure your PC meets minimum system requirements. Hard Disk Space: 250MB of free space required for installation. Processor: 1GHz Intel or AMD processor or higher. Click on below button to start Video Splitter Free Download. This is complete offline installer and standalone setup for Video Splitter. This would be compatible with both 32 bit and 64 bit windows.